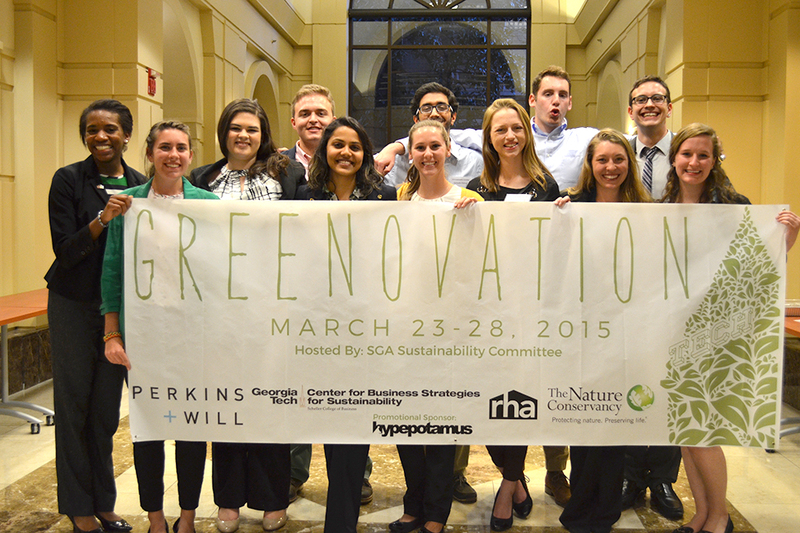 On Saturday, the Student Government Association (SGA) Sustainability Committee hosted Greenovation, a case competition to promote sustainability in campus construction. The competition asked the seven teams to look at how the Student Center could be improved for sustainability. According to Kate Curnow, Communications and Marketing Manager for the Student Center, the Student Center Expansion Committee will use the ideas that came from the competition. The first place winners, Engineers for a Sustainable World Hydroponics Team, gave a presentation pitching for plants to be grown hydroponically in a renovated student center. The team received a check for $1,000 for their accomplishment. “Our main goal in Hydroponics is to promote hydroponics on campus, and we thought that this [competition] would help us achieve our goal,” Jamie Curtis first year MSE and member of the Hydroponics Team. Other members of the team included Jeffrey Landau, fifth year ME, Nicole Kennard, second year MSE, Bianca Costa, first year EnvE. The runner-up team Northern Lights which, among other things, proposed moving all dining to the second floor of the Student Center and adding a online ordering and pickup option for food. According to Curnow and other judges, who spoke during the awards ceremony, the Student Center Expansion Committee plans to consider some of the best ideas for the expansion such as a thrift shop or swap meet and the integration of hydroponics.